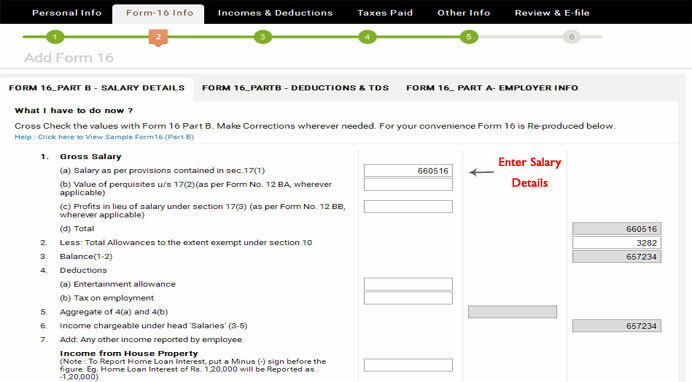 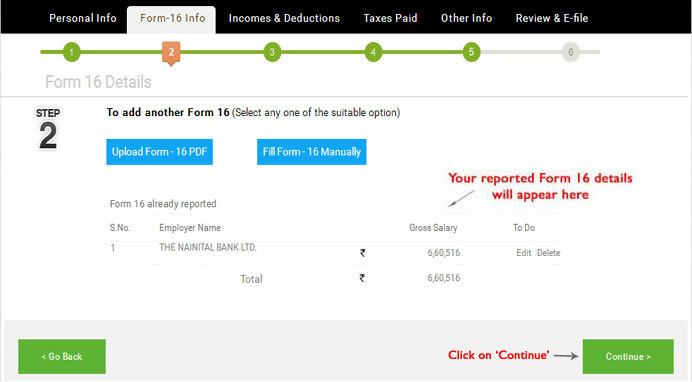 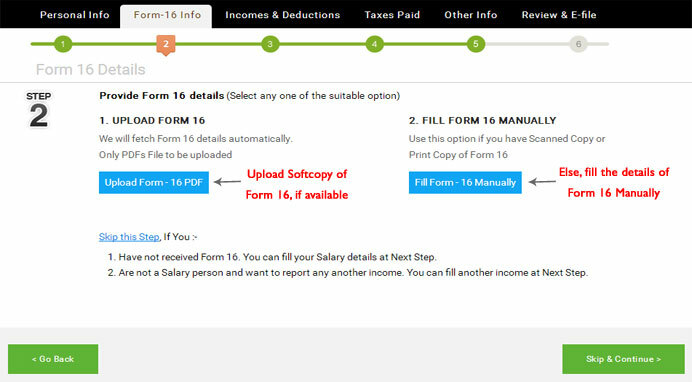 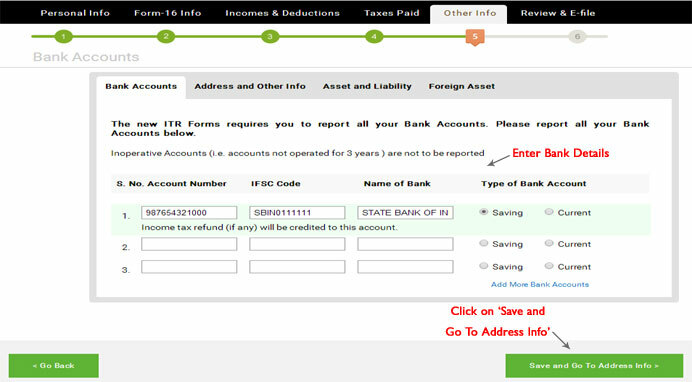 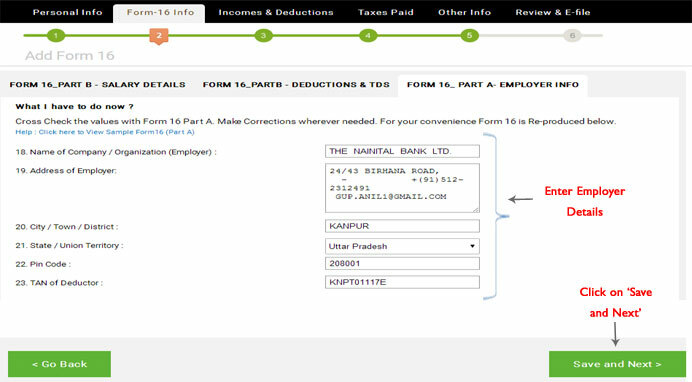 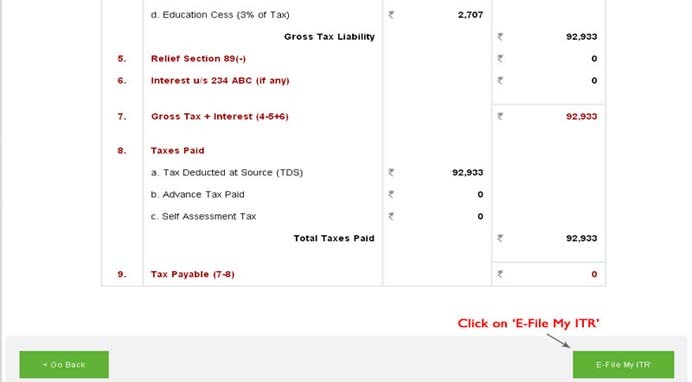 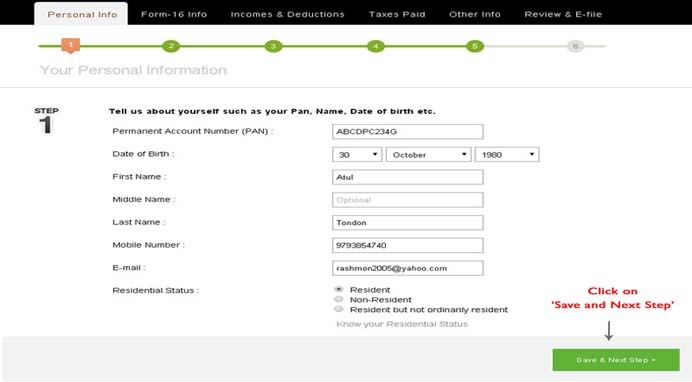 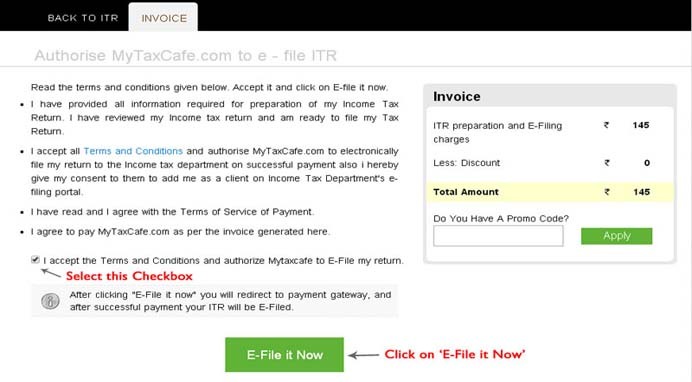 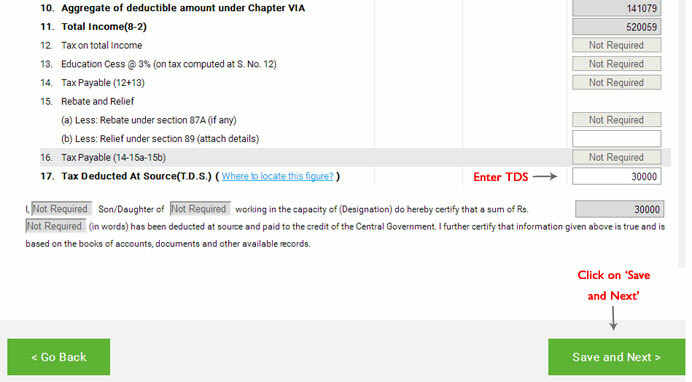 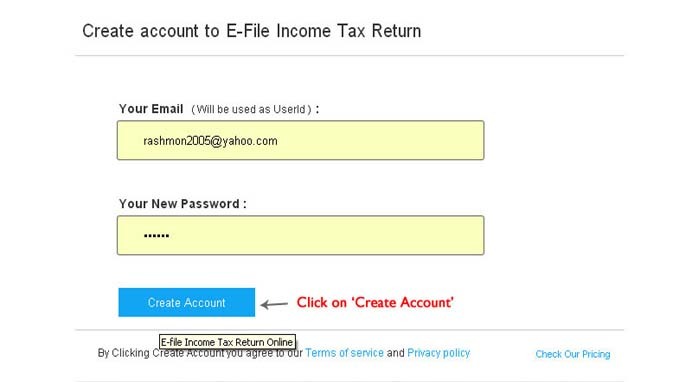 How to report Other Income while efiling ITR? 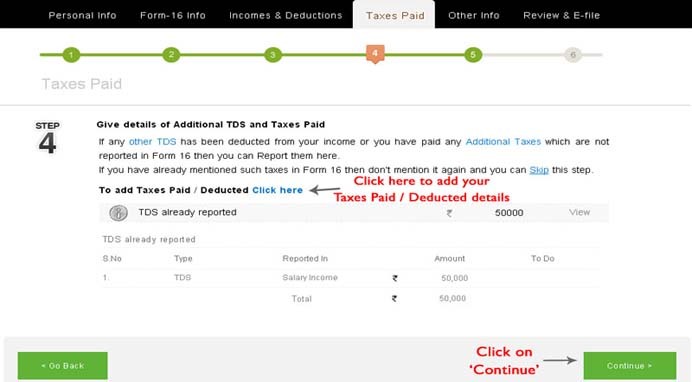 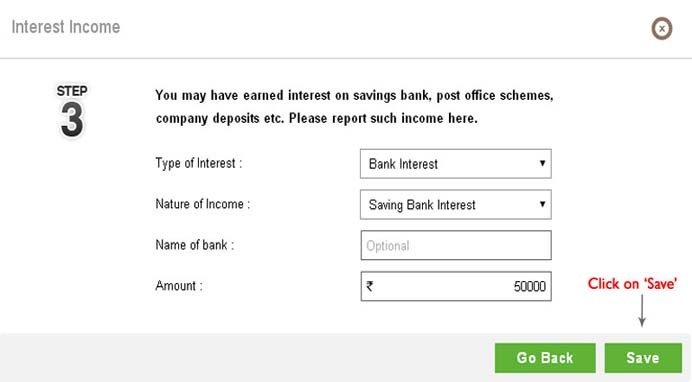 Add the details of Other income by clicking on 'Click here'. 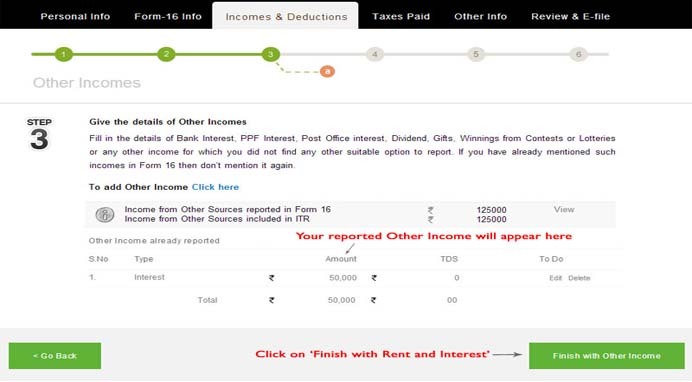 Under the Interest Income Section click on 'Report'. 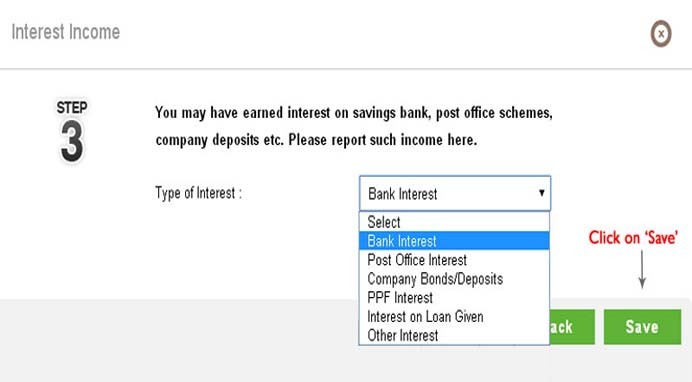 Choose the type of interest and click on 'Save'. 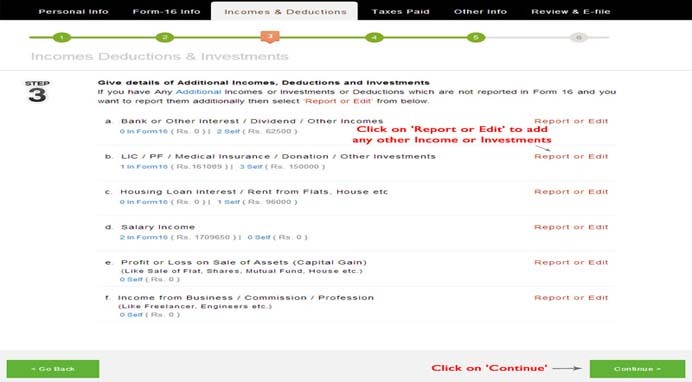 Enter the nature of Income, other details and click on 'Save'. 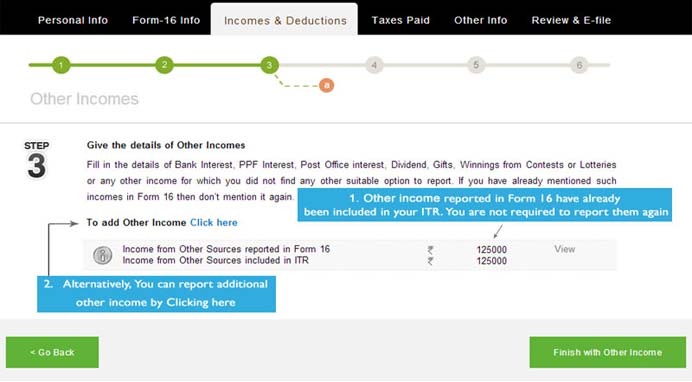 Your reported Interest Income details will be shown here. 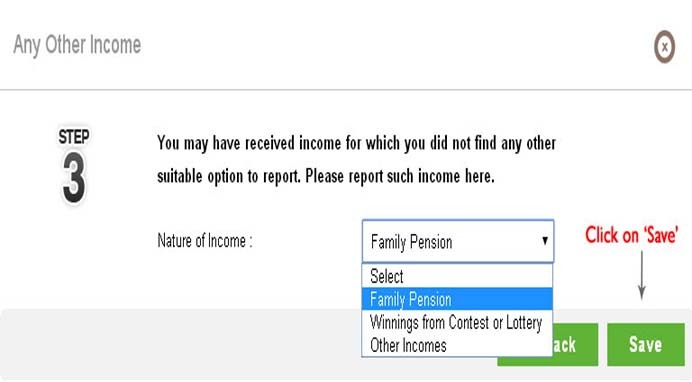 To add any other Income, click on 'click here'. 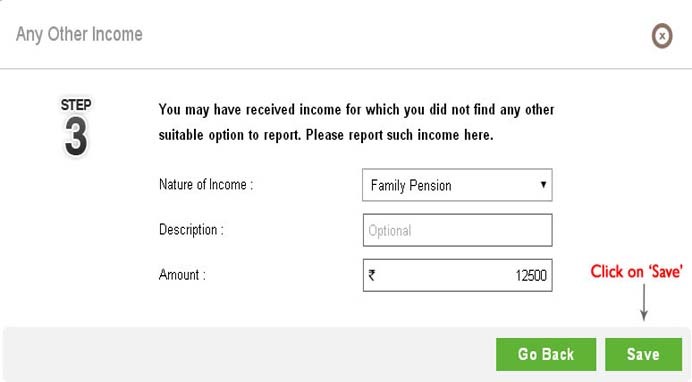 Under the Other Income section, Click on 'Report'. 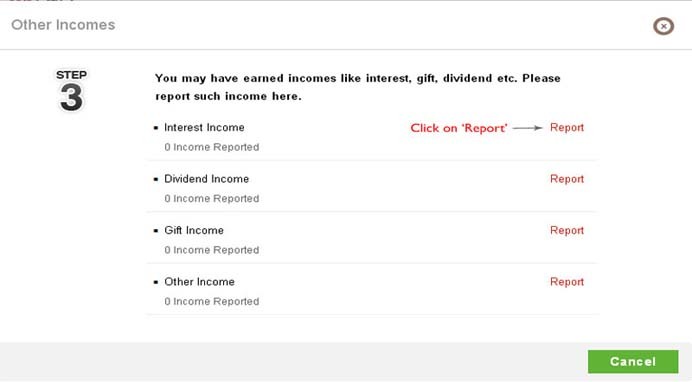 Enter the amount of Income and click on 'Save'. 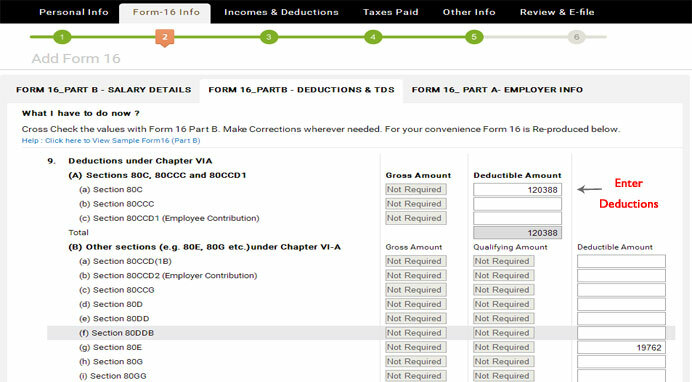 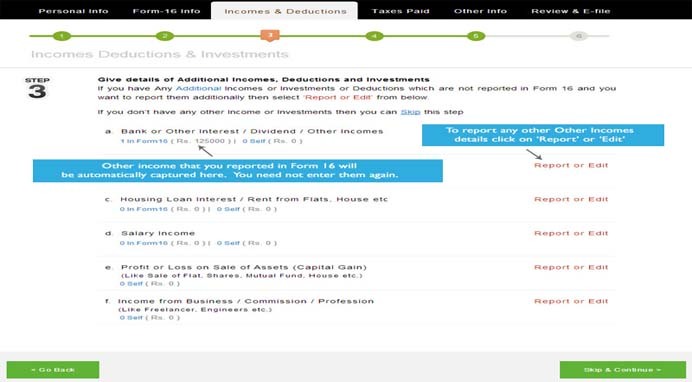 All of your reported other Income details will be shown here. Click on 'Finish with Other Income'.